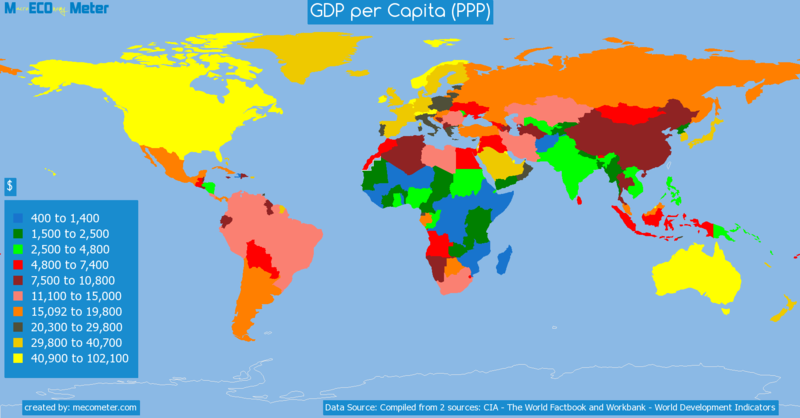 Value & RankThe GDP per Capita (PPP) of The Bahamas is 32,000 ($) with a global rank of 37. 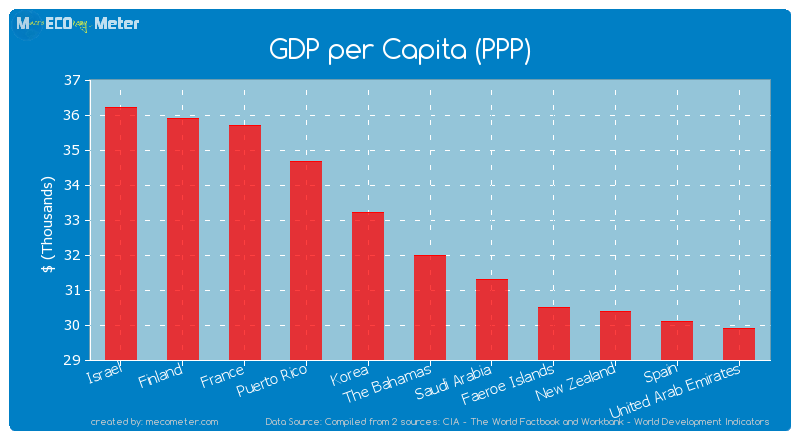 The Bahamas compared to other CountriesThe GDP per Capita (PPP) of The Bahamas is similar to that of Israel, Finland, France, Puerto Rico, Korea, Saudi Arabia, Faeroe Islands, New Zealand, Spain, United Arab Emirates with a respective GDP per Capita (PPP) of 36,200, 35,900, 35,700, 34,674, 33,200, 31,300, 30,500, 30,400, 30,100, 29,900 ($) and a global rank of 32, 33, 34, 35, 36, 38, 39, 40, 41, 42.10 years growthThe Bahamas's GDP per Capita (PPP) had a positive growth of 51.0 (%) in the last 10 years from (2003 to 2013). 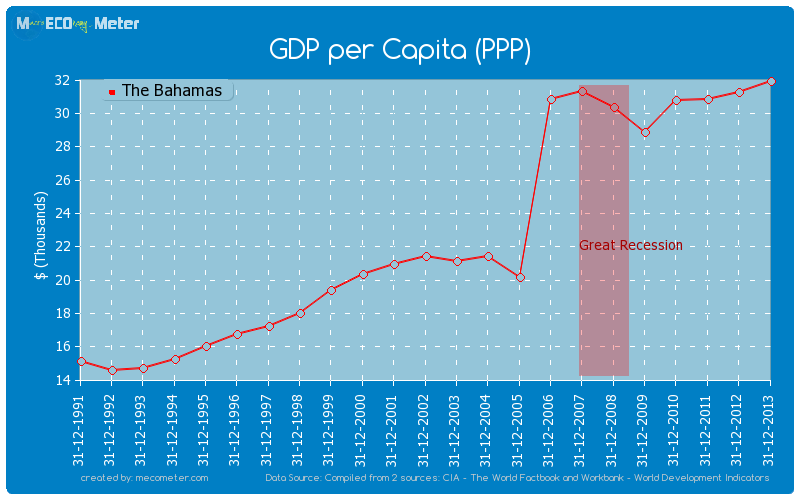 Last 10 years averageThe Bahamas had an average GDP per Capita (PPP) of 28,136 ($) in the last 10 years from (2003 to 2013).